Dervaig has a thriving village shop & post office situated on the Main Street. 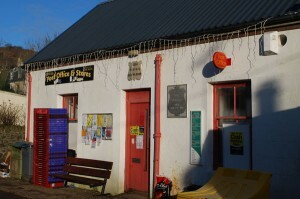 This is a well-stocked shop and general store which also sells newspapers. It is open 9 -1 and 2- 5.30, Monday, Wednesday, Thursday and Friday and 9 -1 on Tuesday and Saturday. Sunday closed.